BvdV has the relevant knowledge and experience to assist and advise entrepreneurs in all manner of disputes and legal issues they may face. The BvdV team is made up of specialised lawyers and tax advisers who are able to advise businesses and private individuals both with regard to civil and taxation issues. If you have a legal or tax question or are looking for a specialist, then please visit our team page or go to our fields of law page where you will be able to find the right lawyer or adviser for your specific case. In 2006, Harm Bruggink and Sjoerd van der Velden seized the opportunity to set up a new law firm. At the time, both men had 10 years of experience in the ‘traditional’ legal profession and decided they needed a sea change. BvdV is founded on the Semco style, e.g. the management philosophy of the Brazilian entrepreneur, Ricardo Semler. 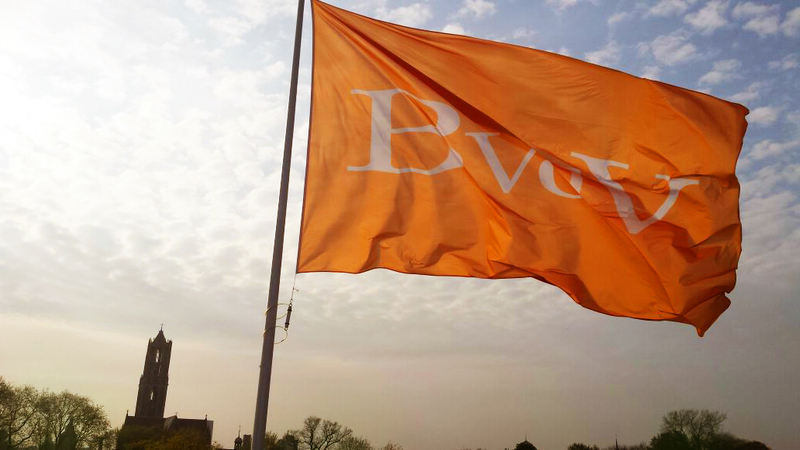 BvdV is a firm where trust and transparency – key principles of the Semco style – are paramount. This is in contrast to traditional companies, which are based on control. BvdV’s vision dictates that not everything is in your control and nor should you want it to be. Trusting that people will get the best out of themselves is far more beneficial to the organisation and its clients. In order to allow the principles of trust and openness to succeed, BvdV has a policy of total transparency in respect of its employees, both regarding organisational and financial issues. Each and every employee has an understanding of and a say in the direction of the organisation. At BvdV, the emphasis is on cost reduction rather than turnover. In fact, rather than turnover targets, we have a turnover cap. In order to offer every employee an equal opportunity to succeed, BvdV has chosen to limit the period of share ownership, thus safeguarding promotion opportunities for all. After all, employees must have a realistic shot at share ownership, which, in turn, means that talent is kept in house. All of this goes towards ensuring innovation and continuity, both for the firm and its clients. We are convinced that a healthy balance between work and private life is essential to fostering creativity, entrepreneurship and academic quality. That is why a four-day working week is basically the norm. Within that context, each employee sets his or her own salary and de facto operate as entrepreneurs. This participatory form of management and operation means that costs are low, but commitment is high. Our clients reap similar benefits, as rates can be kept low and the entrepreneurship of our employees contributing to the quality of service provision. One thing we do not compromise on is knowledge – everyone stands to benefit from first-rate quality. Our transparent and inclusive management style, has led to BvdV receiving official B Corp certification. Being certified means BvdV belongs to a worldwide network of (listed) companies that do things just a little bit differently. Please go to our page on B Corp to find out more about our certification.